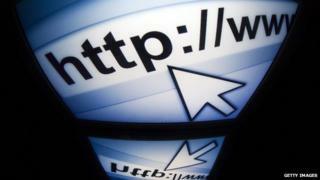 A new web protocol that promises to speed up internet browsing has been approved. The changeover to HTTP/2, when it happens, will be the first major update to the standard in 15 years. The Internet Engineering Steering Group (IESG) has accepted the protocol, one of its senior members wrote in a blogpost on Wednesday. The standard will now go on to be edited before being applied, Mark Nottingham added. Its developers believe the new standard will represent a big step forward because it will make pages load quicker and improve encryption. In another blogpost, written in January last year, Mr Nottingham - who chairs the Internet Engineering Task Force's (IETF) HTTP working group - wrote about the proposed benefits of HTTP/2. Instead of trying to reinvent the protocol, he said that the group was seeking to make the new one compatible with the old. "Making HTTP/2 succeed means that it has to work with the existing web. So this effort is about getting the HTTP we know on the wire in a better way," he wrote then. Hypertext transfer protocol - HTTP - is the means by which browsers communicate with servers to render pages. The new version, Mr Nottingham wrote, would make it easier to use the web's encryption technologies, encouraging more websites to do so. But he added that HTTP/2 was not "magic Web performance pixie dust". Instead of improving webpage loading times by half, it was "more accurate to view the new protocol as removing some key impediments to performance", he wrote. "Once browsers and servers learn how and when to take advantage of that, performance should start incrementally improving." The protocol is based on a Google technology called SPDY, which has been used in recent years. Google will switch to HTTP/2 in its Chrome browser.